look at his look! he looks like he is ready to charge! oooh…lovely! Kid is trying to be a hen amongst the pigeons! Good low angle shot! Super capture here. Perfectly timed, well done! A very well seen and captured situation. You have really caught the right moment. 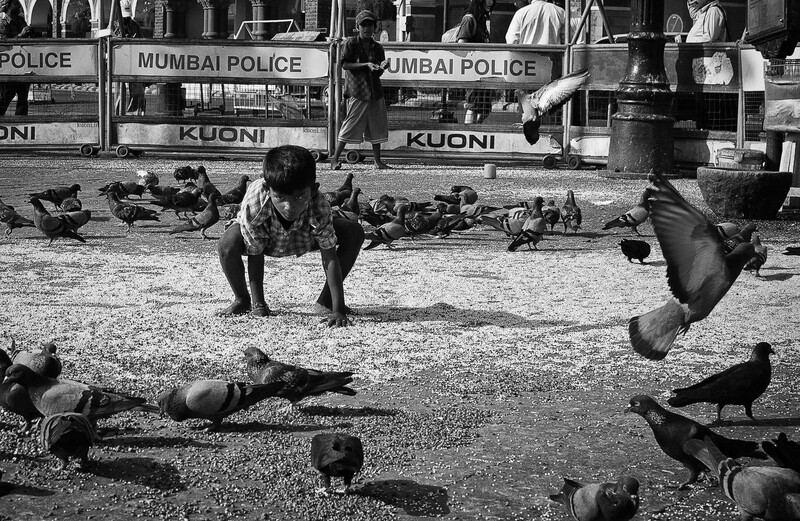 I love the boy’s focused attention on the pigeons. The hard contrast in the picture enhances the almost explosive action which is about to enfold. An unusual shot. Very effective!